Rock and Romanticism: scholarship with a soundtrack. Yes, I have two anthologies with the main title Rock and Romanticism. The first was published early February 2018 by Lexington Books, and was focused on Blake and Wordsworth and, very generally, the genre of classic rock. This second book is Rock and Romanticism: Post-Punk, Goth, and Metal as Dark Romanticisms (Palgrave Macmillan, forthcoming late May 2018) and is focused just where the title implies: on the gothic or “dark Romanticism” as it is sometimes called and on its musical counterparts in rock. The first book states a thesis about the relationship between rock and roll and Romanticism. This book restates that thesis and then extends it to different genres of music and literature. This page provides chapter descriptions and a lot more. If you liked the first book, you’ll like this one too: those interested in one really need to get both. If you’re drawn to this project, please consider requesting that your libraries order it. A more formal description of the project follows. The edited anthology Rock and Romanticism: Post-Punk, Goth, and Metal as Dark Romanticisms (Palgrave Macmillan, 2018) is now available for preorder on the publisher’s website and will ship in late May 2018. I’m providing information here for potential readers, reviewers, and college and university librarians who may be interested in this book. If you wish to review this anthology for your publication, please contact James Rovira at jamesrovira@gmail.com with your name, credentials, and the name of the publication for which you wish to review this work. 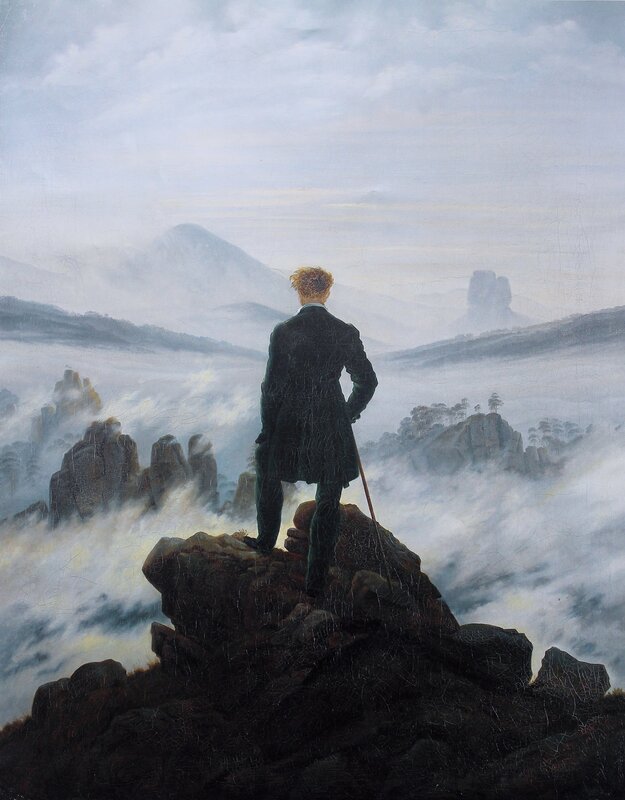 But I’d like to provide a bit of personal history before I get into details about the book: my introduction to English Romanticism (my first way in to the vast labyrinth that is “Romanticism”) occurred in two stages. First, through the song “William Blake” on the Daniel Amos album Vox Humana (1984). That song made me run to the local B. Dalton Booksellers (remember those?) to pick up a copy of The Viking Portable William Blake. And that was how I first understood Romanticism as a literary phenomenon. Thank you, Dr. Starling. In both cases, my way in to Romanticism was rock music from the 1960s to the 1980s. Rock and Romanticism: Post-Punk, Goth, and Metal as Dark Romanticisms ~ James Rovira, ed. ~ Hardcover ISBN 978-3-319-72687-8 ~eBook ISBN 978-3-319-72688-5 ~ DOI10.1007/978-3-319-72688-5 ~ pp. 330 ~ hardcover: $109.00 (£80.00); ebook: $84.99 (£63.99). This collection is part of the series Palgrave Studies in Music and Literature, P. Lumsden and M. Katz Montiel, editors. Chapters are listed below. Many and profuse thanks M. Katz Montiel for being a great series editor (he made every chapter better), to Palgrave Macmillan’s editorial team, and to Dr. Mark McCutcheon (see the Nick Cave chapter description) for his work assembling these playlists. After the Preface and Introduction, songs are arranged in the order in which they appear in the chapter. I’ve created iTunes playlists for each chapter that are linked within chapter descriptions. Also check out the iTunes Master Playlist for this anthology that combines all available songs (over 200) and the Spotify Master Playlist. Preface and Introduction: “Theorizing Rock/Historicizing Romanticism” James Rovira. Check out his iTunes profile. “Empathy for the Devil: The Origins of Mick Jagger’s Devil in John Milton’s London” (pp. 27-44) by Evan LaBuzetta, Ph.D., Cambridge University. Independent scholar, founder of Writling Language Consultants. Evan LaBuzetta’s “Empathy for the Devil: The Origins of Mick Jagger’s Devil in John Milton’s London” analyzes the political discourse and outlines the discursive practices that influenced John Milton in his development of the character of Satan in Paradise Lost. Milton’s Satan was reinterpreted by the Romantics and later appropriated by Mick Jagger in “Sympathy for the Devil.” According to LaBuzetta, the rise of personal interpretation of Scripture in an era of vicious conflict led various combatants in the English Civil Wars to identify their domestic opponents with Satan. In pamphlets, writers could insist on their opponents’ Satanic origins regardless of outward appearance—because Satan can transform himself into an “angel of light”—while at the same time positing their own demonization as a sign of the righteousness of their cause. Through the English Civil Wars, rebellion against civil authority came to be seen as different than rebellion against God, establishing a “paradox of individual authority” by the time of Milton’s writing. Once God is dethroned as a “self-justifying principle,” a writer like Shelley could thrill to the active, virile, self-confident aspects of Satan’s character and declare that Milton’s Satan is far preferable to Milton’s God. Milton anthropomorphized Satan, and later readers came to see him in personal, non-religious terms: as a heroic individual striving against a tyrannical, self-imposing force, one with whom readers or rock fans could empathize. “‘Bliss was it in that shirt to be alive’: Connecting Romanticism and New Romanticism Through Dress” (pp. 45-59) by Emily Bernhard Jackson, Lecturer, University of Exeter. Skipping ahead about ten years after the Stones expressed sympathy for the devil, Emily Bernhard-Jackson’s “The Semiotics of the Ruffled Shirt: Connecting Romanticism and New Romanticism” shifts focus from linguistic content to visual surfaces in her comparison of the New Romantics of the early 1980s to English Romantics such as Byron. Rejecting the assumption that the New Romantics were glib and apolitical, she asserts their carefully managed, glittering surfaces were acts of subversion within Thatcher’s England, and these rock stars’ androgyny and even specific fashion choices—such as the ruffled shirt—carefully and not just coincidentally parallel second generation English Romantics such as Byron. Fluidity of sexual identity served the purpose of resisting full industrialization during 1980s’ England in a way parallel to the poets’ resistance of incipient industrialism in Romantic England, making dandyism and glitter statements against the brutal grayness of the working-class employment described by Löwy and Sayre, a very observable “mechanized conquest of the environment” under industrialization. This chapter invites readers to compare George Henry Harlow’s 1814 engraving of Byron to one of Adam Ant’s publicity stills for Prince Charming. See the images page for this chapter. “‘Crying Like a Woman ‘Cause I’m Mad Like a Man’: Chrissie Hynde, Gender, and Romantic Irony” (pp. 61-82) by Sherry R. Truffin, Associate Professor of English, Campbell University. Sherry Truffin’s “‘Crying Like a Woman ‘Cause I’m Mad Like a Man’: Chrissie Hynde, Gender, and Romantic Irony” focuses on Chrissie Hynde as the frontwoman for the Pretenders. Truffin considers in Hynde’s lyrics, autobiography, and other resources the ways in which Hynde negotiated her rare position as a female lead singer and rhythm guitarist for an otherwise male rock band. Drawing from Löwy and Sayre, Truffin observes how Hynde resorts to Romantic irony as defined by Schlegel and Anne Mellor to negotiate tensions between the influences of the relatively undeveloped Akron, OH of her early childhood and the industrial city that Akron later became. Truffin also explores how Hynde negotiates her conflicting views of her own female identity by adopting masculine, feminine, and androgynous identities in turns. These tensions ultimately cause Gothic sensibilities to surface in many of Hynde’s songs as her female identity is expressed through Gothic tropes and situations: she suffers violent abuse from men, refuses to complain about that treatment or accept victim status, and then uses that refusal as a means of asserting her own agency. “A Northern ‘Ode on Melancholy’?—The Music of Joy Division” (pp. 83-100) by Caroline Langhorst, Ph.D Candidate, University of Mainz. “‘Little crimeworn histories’: Nick Cave and the Roots-Raves-Rehab Story of Rock Stardom” (pp. 101-120) by Mark McCutcheon, Professor of Literary Studies, Athabasca University. Check out his blog. Mark A. McCutcheon shifts the locus of suffering to substance abuse in “‘Little crimeworn histories’: Nick Cave and the Roots-Raves-Rehab Story of Rock Stardom.” McCutcheon examines the commodification of the Romantic tropes of drug use and of the self-destructive artist using Nick Cave as a case study. The art/commerce opposition established within Romantic texts to emphasize the authenticity of the poet/artist has, according to McCutcheon, become a part of the commerce of the music industry in the form of a Roots-Rave-Rehab narrative that governs discourse about artists’ drug use and recovery. In other words, Romantic tropes have been appropriated to serve capitalist ends. McCutcheon’s chapter considers how Nick Cave both exploits and resists this appropriation using a number of strategies, including an exploitation and modification of the traditional Gothic/Romantic trope of the dead woman. “Postcards from Waterloo: Tom Verlaine’s Historical Constellations” (pp. 121-143) by Len von Morzé, Associate Professor of English, University of Massachusetts, Boston. “Manner, Mood, and Message: Bowie, Morrissey, and the Complex Legacy of Frankenstein” (pp. 145-161) by Samuel Lyndon Gladden, Associate Dean of the School of Human Sciences and Humanities and Professor of Literature, University of Houston, Clear Lake. Samuel Gladden shifts focus to monstrosity in “Manner, Mood, and Message: Bowie, Morrissey, and the Complex Legacy of Frankenstein.” He compares Bowie’s and Morrissey’s appropriations of the figure of Frankenstein’s Creature to explore their differing responses to isolation and loneliness. In Gladden’s account, Bowie focuses on the discardedness of the Creature as he adopts and discards personae just as Frankenstein abandoned his Creature. Bowie ultimately gathers up many of his previous personae in the song and video “Blackstar,” particularly his first personae, Major Tom, who allows Bowie to revisit the trope of being in an alien environment in anticipation of his own impending death. Morrissey, on the other hand, focuses his attention on the Frankensteinian themes of hybridity or bricolage in “November Spawned a Monster,” emphasizing that Morrissey adopted as his own the hybridity or bricolage associated with the Creature through a variety of personae with disabilities, all of them set within an “idealized past.” The disfigurements of the subject described by Löwy and Sayre, therefore, assume material form in Morrissey’s various personae. See the Shelly-Godwin Archive for images of the handwritten manuscripts and Charles Robinson’s careful curatorial work. Biblion page at the New York Public Library for Frankenstein. “Tales of the Female Lover: the Poetics of Desire in To Bring You My Love and Is This Desire?” (pp. 163-181) by Catherine Girodet, Ph.D. candidate Université Paul Valéry – Montpellier, and faculty, English Department, Universitie De Creteil. Returning to the female Gothic, Catherine Girodet’s “Tales of the Female Lover: the Poetics of Desire on To Bring You My Love and Is This Desire?” begins with the groundwork laid down by Mario Praz in The Romantic Agony and then continued by Abrams and Henderson and others in her exploration of dark Romantic themes in the music of P.J. Harvey. Girodet is particularly interested in the agonies of romantic love as formulated in Harvey’s third and fourth albums, which represent a change in musical direction for Harvey and her first forays into Romanticism. She also explores the implications of Harvey’s music for our consideration of the relationship between the Gothic and the Romantic and how in Harvey’s music the agony of love serves as a conduit to the sublime. “Emocosms: Mind-Forg’d Realities in Emo(tional) Rock Music” (pp. 183-197) by Eike Träger, Ph.D. candidate, University of Cologne, Köln, Germany. Romantic artists at times exploit dark moods for artistic purposes. Eike Träger’s “The World Is Mine: Pathetic Fallacy and Mind-Forg’d Realities in Emo(tional) Rock Music” identifies the pathetic fallacy and heterocosm as two points of affinity between English Romanticism and emo music. Relying on Sayre’s and Löwy’s “Romanticism Against the Tide of Modernity,” Träger sees in emo “a Weltschmerz that literally creates a cosmos of pain in lyrical form” in the music of bands such as The Danburrys, the Deftones, AFI, and La Dispute. Setting up and then dismantling Ruskin’s theory of art as means of explaining emo music, he ultimately argues that emo bands are aligned with “resigned” Romanticism in Sayre’s and Löwy’s taxonomy: emo music is a form of Romanticism in its emphasis on affect and the individual, but because it is distinctly apolitical, it differs from both first and second generation English Romantics. “‘I possess your soul, your mind, your heart, and your body’: External and Internal Gothic Hauntings in Eminem’s Relapse” (pp. 199-213) by Christopher Stampone, Ph.D., Southern Methodist University. “‘The Female Is Such Exquisite Hell’: The Romantic Agony of My Dying Bride” (pp. 215-233) by Matthew J. Heilman, Ph.D., Duquesne University. Matthew Heilman’s “‘The Female Is Such Exquisite Hell’: The Romantic Agony of My Dying Bride” engages Poe’s emphasis on the “death of the beautiful woman” to evaluate My Dying Bride’s work as instances of feminist Romanticism. Through artist interviews and song analysis, Heilman explores central tropes of dark Romanticism—the dead or dying woman and the femme fatale—in both My Dying Bride’s lyrics and in the poetry of Poe, Keats, Baudelaire, and Swinburne to argue that My Dying Bride’s lyrics exploit nineteenth-century dark Romantic tropes of the woman to deconstruct them. “Ashes Against the Grain: Black Metal and the Grim Rebirth of Romanticism” (pp. 235-257) by Julian Knox, Assistant Professor of English, Georgia College. This collection ends with Julian Knox’s “Ashes Against the Grain: Black Metal and the Grim Rebirth of Romanticism.” The genre of rock called “heavy metal” is often said to have begun in the 1970s with the bands Led Zeppelin and Black Sabbath, but heavy metal has since branched out into a variety of subgenres, including thrash, death, doom, and even folk metal, which blends regional folk music and traditional instrumentation with heavy metal. Knox argues that one of these subgenres, black metal, self-consciously draws from and then exceeds, sometime ironically, Gothic and dark Romantic literary tropes to promulgate an aesthetic of death and decay that one black metal musician called “Werewolf Romanticism.” Knox explores bands such as Burzum, Mayhem, Xasthur, and Varathron and their uses of Romantic-era literature and painting by figures such as Shelley, Blake, Byron, Novalis, Goëthe, and Freidrich to define Romantic rejection of the pastoral—which was seen by figures such as Novalis and Hoffmann as capitulation to power structures—as a form of inwardness or psychologizing. These figures explore Plato’s cave as the skull of the mind, the collective voices of the dead, to assert or affirm their individuality against capitalism. Note: many passing references to music, literature, and artworks are excluded from this list. If a specific song was not available, or if an album was mentioned but not a specific song, representative examples were taken for the iTunes playlist. Arise, My Lord. . .
Errata: if you see any errors on this page or in the book, please email James Rovira.